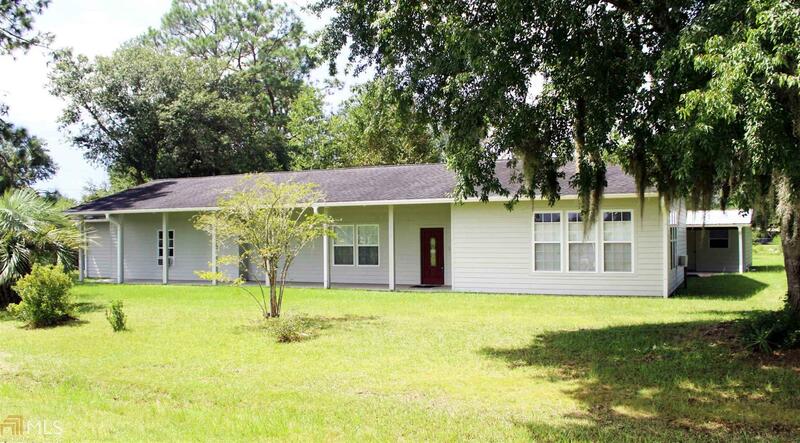 This spacious 2 bed/2 bath home has an additional room that could be used as a bedroom. Desirable open concept living area contains a ton of space & has tiled floors. Open kitchen features plenty of counter space, 2 pantries, & beautiful stainless steel appliances, including a separate cooktop & double ovens, one of which is a convection oven! Master bedroom has a roomy walk in closet & access to the large laundry room. Both bathrooms are updated & feature gorgeous travertine tile. Both additional structures on this property have power! One is a workshop with a covered parking area. The other is a tiled room that has so many potential uses and is already connected for cable too. This must see home has no shortage of space & storage and is on nearly 1/2 acre!